Skipper may seem smart, but what really goes on inside a cat's brain? Hopefully Skipper is looking for tips on how to walk on a leash. My cat Skipper turned two this summer. When I first started including him in my writing, he was just a few weeks old and living with us part-time on our sailboat in the harbor. That seems like a lifetime ago. But then, going through a hurricane can age a person that way. We now live downtown with Skipper, although we continue taking him back and forth with us when we go back to Austin. It's what happens when we take him to Austin that causes me to scratch my head and wish I could figure out what goes on in a cat's brain. Anyone who thinks cats don't have emotions or strong personalities either doesn't have cats or else they have not met Skipper. Skipper is a very good communicator. He lets us know when he doesn't want to leave Rockport by hiding under the bed, sometimes as soon as he sees us start to pack. And once we get back to Austin, "Austin" Skipper lets us know he isn't happy about leaving Rockport by immediately disappearing into the neighborhood and ignoring us for days and days. And when he does "sort of" start acknowledging that we exist in the universe, he will still pull back when we go to pet him and immediately leave the house if we dare to try and pick him up. This contrasts greatly with "Rockport" Skipper. When we are in Rockport he is often under foot, rolling over onto his back for us to rub his tummy, jumping up and sitting next to us on the couch, coming whenever we call him. OK, that last one may be a bit of an exaggeration. "Sometimes" even coming whenever we call him. 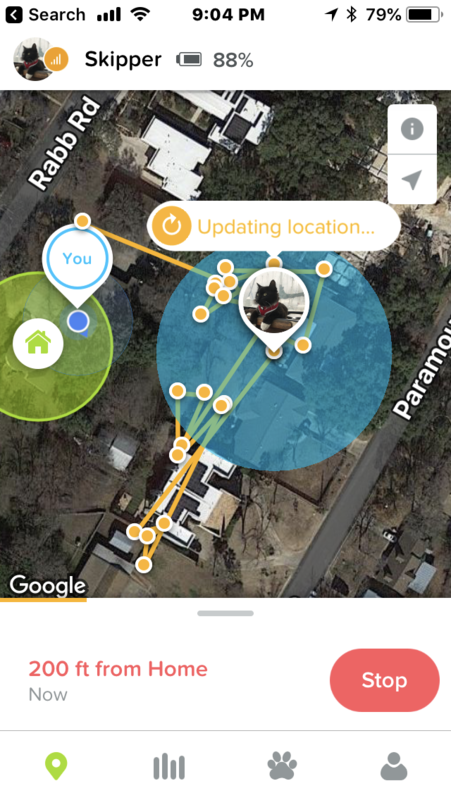 Skipper's tracker shows how well he responds sometimes when I call him. I found myself curious to better understand how Skipper could so quickly switch from us being his favorite people in the world, to pretending as if he has never seen us in his entire life. In a quick on-line search for some answers, I came across an article posted on the on-line site "Pet MD." In the article, they site the work of science journalist David Grimm, who has studied the minds of dogs. 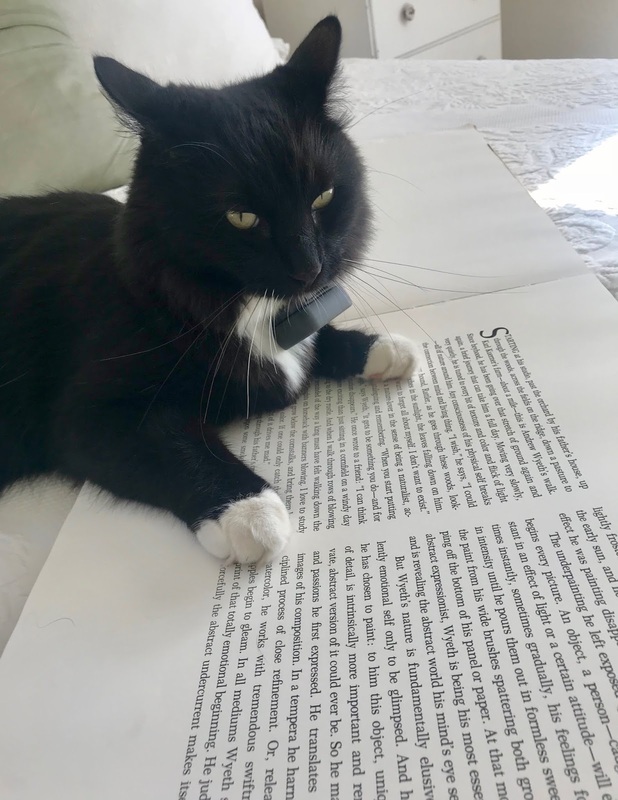 When asked why there wasn't more research on the minds of cats, the scientist said that it was because cats can be difficult to work with. Apparently when scientists tried to include cats in their studies, they often would have to be removed because they were so uncooperative. Any cat owner could have told you this, of course. If there is some research out there, however, I would also be curious to know about how cats' brains change as they age. Since Skipper just turned two, that is comparable to being a teen in human years. And there is a great deal of research available about how the human brain changes at different ages, so I have to think that an animal's brain would also change and mature as it ages. Or change and deteriorate - depending on which age we are talking about. Or is it just me? We know that in the teen years, teen's brains go through a pruning process. This synaptic pruning actually clears out unused connections in the brain. Some research suggests that this is why adolescents seem to temporarily lose inhibitions and sometimes use poor judgment during this period of pruning, because their brains are not yet fully formed. I have seen this described as teens brains being a "work in progress." So, maybe I can give Skipper's obstinate behavior a pass, and hope that once his brain becomes fully formed, he will once again become the sweet cat who used to let me carry him around in a baby backpack, take him for walks with a leash, and snuggle up next to me in the middle of the night. Or I would settle for him not always having to climb on top of the highest point in a room he can find or to the top branch of the highest tree he can find. It would be nice also if he didn't run away from me when I go to pick him up to bring him in at night. And it would be even nicer if, when we are in Austin, I could quit having to push a heavy cabinet in front of the cat door to keep him from picking the lock at night in order to escape. But when I look more closely at the particular behavior of lock picking in Austin, I notice something peculiar. We have the exact same type of cat door in Rockport. But, he does not spend hours whining at that door before trying to claw it open. When we bring him in at night, for the most part, he seems to shrug it off as the natural course of things. So what gives? 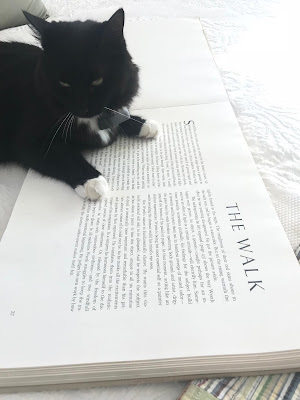 For a long while I thought Skipper's different behaviors when we were in Austin and in Rockport were because he simply enjoyed being an "only" cat in Rockport. In Austin he had to share his space with our 16 year old cat Cisco, who we had never brought with us to Rockport. 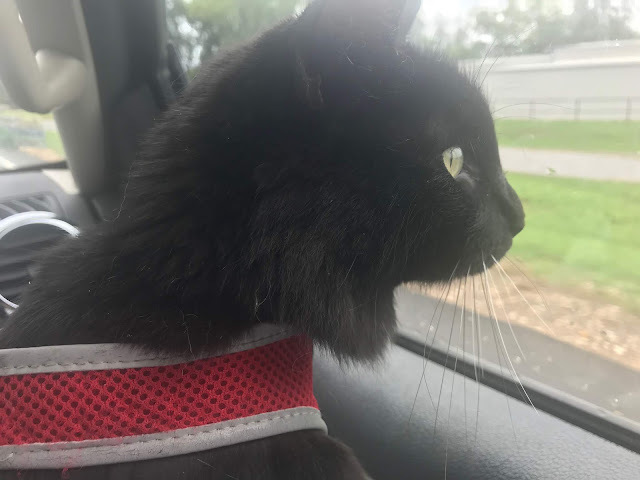 Unlike Skipper, who has been making the trip from Rockport to Austin since he was about four weeks old, Cisco had never traveled further than the two mile trip to the vet. Cisco also didn't like change, rarely left the house, and we knew would be stressed by the trip. However, when we did bring Cisco to Rockport, we finally discovered the truth. Instead of Skipper once again treating us like his captors, as he does in Austin, he immediately reverted back to his "Rockport" Skipper and once again was a loving, responsive (using that term loosely of course) companion, even with Cisco here. So, my conclusion as a result of my observations and "extensive" research to understand the brains of cats, is that while Skipper may indeed be in the midst of his "teen" years, there is also a great deal of data that points to his affinity for Rockport. Maybe I have influenced him more than I realized.